Congress president Rahul Gandhi’s helicopter was denied permission to land in West Bengal’s Siliguri police ground, where he is scheduled to address a public meeting on Sunday. The rally was to be held at the Dagapur ground, located on the outskirts of Siliguri, which is part of Darjeeling Lok Sabha constituency. The police cited lack of space as the reason for denying permission. “We can’t give the permission for the helicopter to land at the Siliguri Police commissionerate ground since a lot of vehicles are parked there,” said BL Meena, Siliguri Police commissioner. Darjeeling will go to polls in the second phase of Lok Sabha elections on April 18. 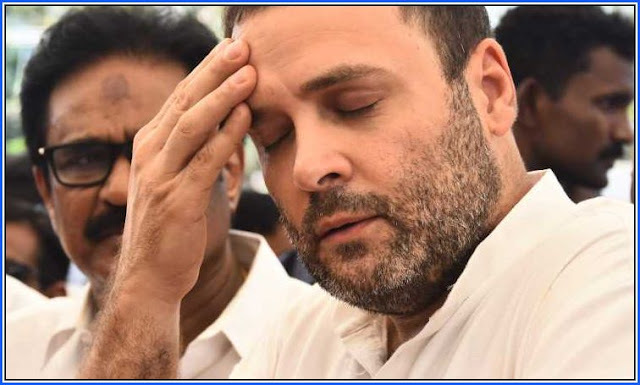 “We had written to the Siliguri Police commissioner on April 7 seeking permission for Rahul Gandhi’s helicopter to land at the police commissionerate ground in Siliguri. But today the police commissioner’s office informed us over telephone that they cannot give us permission,” added Malakar. Meena, however, denied receiving the letter seeking permission for the helicopter to land on April 7. Senior TMC leader and state tourism minister Gautam Deb refused to comment. In February, BJP leaders alleged that the state government denied permission for helicopters of Uttar Pradesh chief minister Yogi Adityanath to land in Purulia forcing him to travel by car from Jharkhand.